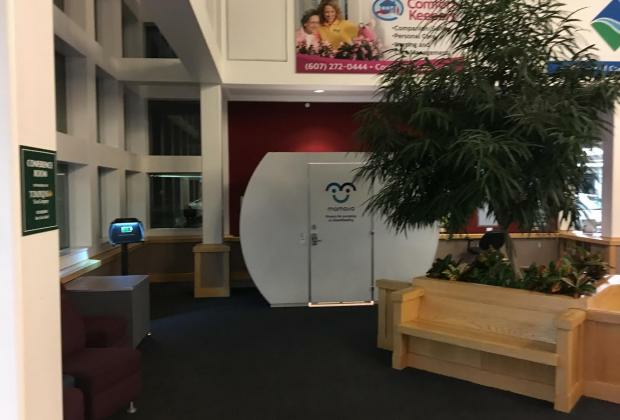 Ithaca Tompkins Regional Airport now provide traveling mothers with nursing babies and moms who are breast pumping with a dedicated portable mamava lactation pod. The nursing mothers space is optional, you can still openly breastfeed whever and whenever in the state of New York. It's mainly for moms who need a space to breast pump regularly as they travel. It contains one collapsible table with enough space for a manual or electric breast pump and accessories. It also has two benches able to fit a mother, her partner, acompanying siblings, or luggage, such as a stroller. There is also an AC and USB outlet for moms to charge their devices while using the nursing pod.